Beccy's Place: Day 6 - "F"
For today's letter prompt I've gone with one of my favourite techniques... "fussy cutting", which is the term we use in paper craft to describe cutting around a stamped or printed image. YOUR TURN: Create a card using the letter "F" as your prompt. Family, father Christmas, Feliz Navidad, feast, fir tree, frankincense, Frosty the snowman, fireplace, fruitcake, festive, fussy cutting, fancy folds, flip flop card, fluorescent, fuchsia, French blue. Beccy, this looks more like a framed holiday decor item than a card - it's absolutely stunning! The fancy frame (more F's! ), decoupage layers, and beautiful bow with bling combine to make this a real showpiece! Bravo! This is so pretty! Wish my "fussy cutting" looked as neat as yours---sometimes mine seems to be more like "fuzzy cutting"! I must admit Fussy cutting is one of my favourite 'things' in crafting, it's so relaxing and especially when a decoupage is involved. Such a gorgeous card Beccy! Love that background die you used and your fussy cutting is perfect for this image! That buckle with your pretty ribbon really sets the card off nicely. Silver Bells is one of my favorite Christmas songs. Maybe because I sang it in high school and strolled around the stage in period costumes. So much fun! 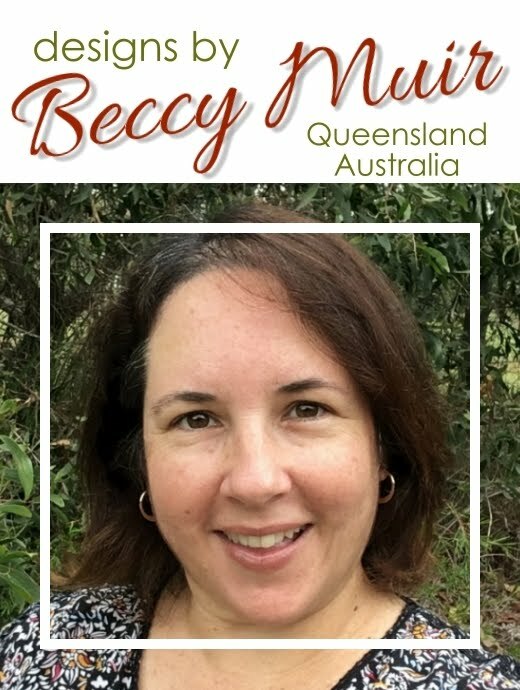 Absolutely stunning in its simplicity, Beccy! Love that bow and your frame is gorgeous. LOVE your image and layers, the colours, colouring and dimension delight, as does your shiny ornate frame ... FANCY and FABULOUS! What a perfect piece of art! Lovely colors and cutting and layers on my! Bec, your Christmas card is beautiful and elegant. Just love the effect you achieved with the fussy cut of the holy leaves and flowers. Pretty frame die. This is so beautiful, it looks as a kind of mirror. Gorgeous fussycutting! I didn't know the term 'fussy cutting'.... well you're never to old to learn:). Your fussycuttingcard is fabulous! I love the colourcombo you've used and the 3D of the stamp looks gorgeous on this card. I've learned new English words! Never heard of Fussy Cutting, altough I use the technique sometimes! I must confess I adore this set of decoration digis Beccy, and this different colourway with tasteful die cutting are very refreshing change, great work as always!! ...your posts are a blessing when they come into my inbox, even if don’t comment often. Stunning! What a gorgeous image to fussy cut - and a beautiful shade of blue. The bling on the bow is a great way to finish off the card. Hi Beccy never know thats in English called fussy cutting. You never to old to learn something😀. I love the beautiful color blue/green. Gorgeous card, the frame is wonderful and I love that you made a shaped card with it. The fussy cutting looks great with this image.